Our glass protection films are designed to fortify glass applications by acting as an invisible coat of armor. The highly resistant glass protection films manufactured by DivyaExtrusion safeguard homes and offices from break-ins and natural calamities. We provide you with protective films that absolutely maintenance free, scratch resistant and invisible to the naked eye. We are offering high quality PE glass protection or surface protection film to protect glass or other painted surface for 45-60 days. Our organization hold expertise in offering superior grade Glass Interlining Film to our precious customers. 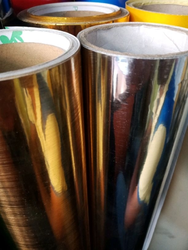 Our offered Glass Interlining Film is widely appreciated by our customers, which are situated all round the nation. Known for its best quality, clients can avail this Glass Interlining Film at industry leading prices from us. We are offering Glass Protection Film to our client. Keeping the diverse requirements of customers in mind, we are instrumental in providing Stairs Glass Film. 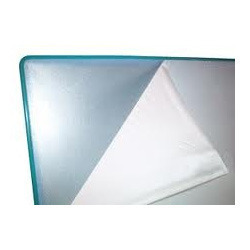 We are dealing with Glass Films as per demand and requirement of buyers. In modern days of high rise building and malls the use of glass has increased many fold but it also increases risk which glass breaks and causes grave injury. Our safety film holds the glass from shattering in the event of breakage and saves precious life of the people. Usage: Used for adding privacy in offices, cabins, etc. We have carved a niche amongst the most dominant names in this domain, engaged in offering Glass Etching Film. Our clients can avail from us an extensive collection of Etching Glass Films which have multipurpose utility. On one hand, these films can be used to decorate the ambiance; on the other hand, these will also keep the room cool by preventing the direct sunrays that will warm the room. Our offered Etching Glass Films are manufactured using quality glass and are durable.